Luxury tastemaker MICHELE has certainly left its mark on the modern woman—celebrating her success and what makes her shine inside and out. This season, the brand is turning up the spotlight with the introduction of the Deco Sport High Shine series, a collection that perfectly blends high fashion and high sport. This go-to accessory of the year is taking the reflective trend to the next level with mirror dials, glistening topaz and Italian metallic leather straps. 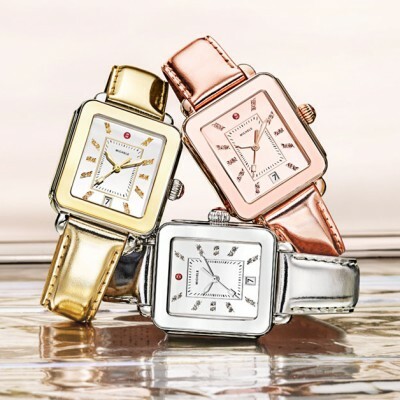 And to help that MICHELE girl shine bright like a diamond, the watch comes in gold, stainless, rose gold and two-tone designs, exclusive to michele.com. 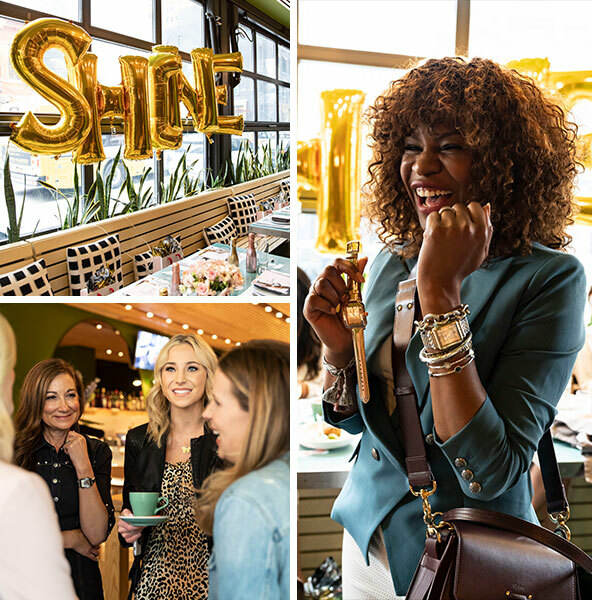 The brand formally introduced High Shine to the world at a women’s brunch, hosted in partnership with Dallas-based agency Estate Five, at the popular Americano restaurant. 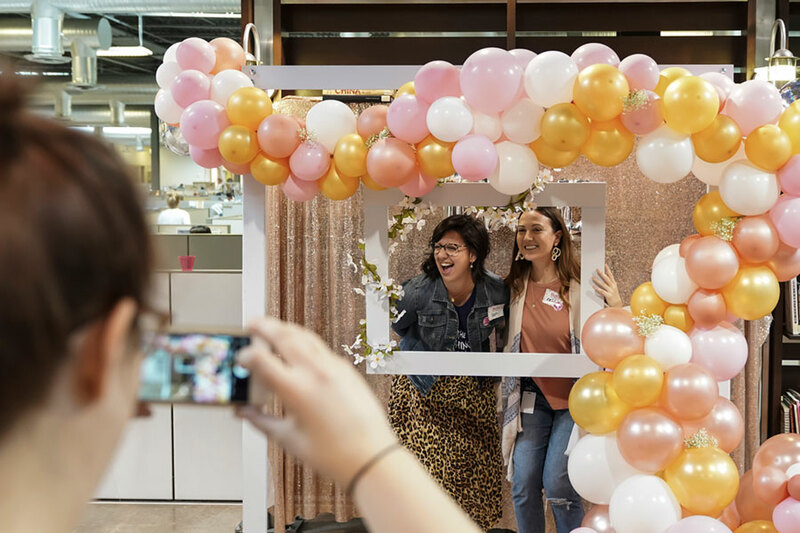 The event included special photo moments, reflective champagne bottles and empowering messages that brought the launch to life as it marked a new watch milestone moment. The Deco Sport High Shine collection launched on MICHELE.com on 4/15 and will roll-out with wholesale partners later this year. What’s “old” is new again! 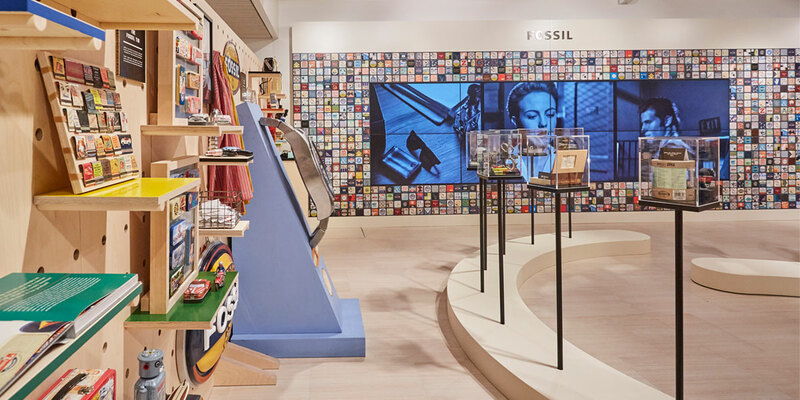 Fossil used this year’s Baselworld global stage to launch their limited edition Archival Series and first-ever global retrospective: The (R)Evolution of the Fossil Watch. 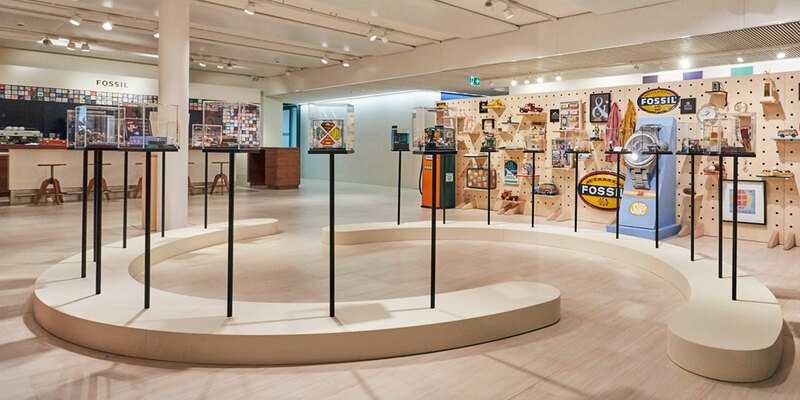 The watch series and retrospective exhibit showcase the brand’s most iconic designs since its 1984 beginning, as well as its rooted-in-vintage history and inspiration. 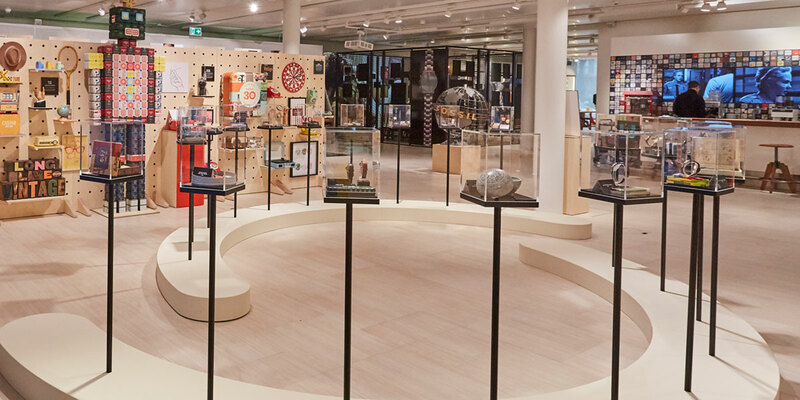 ‘’This exhibit allows us to celebrate our history with our global audience, give them visibility in to what makes Fossil decidedly Fossil, and share a first look at all the exciting things we have in store this year and beyond for the brand,” says Steve Evans, EVP Fossil Group. 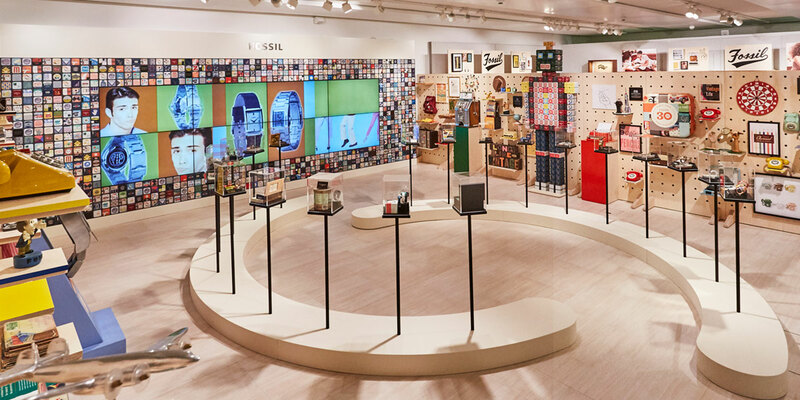 To showcase the Archival Series—a limited edition re-release of the most coveted and iconic watch designs from decades past—the retrospective celebrated how Fossil’s nostalgia, innovation and creativity transformed watchmaking. 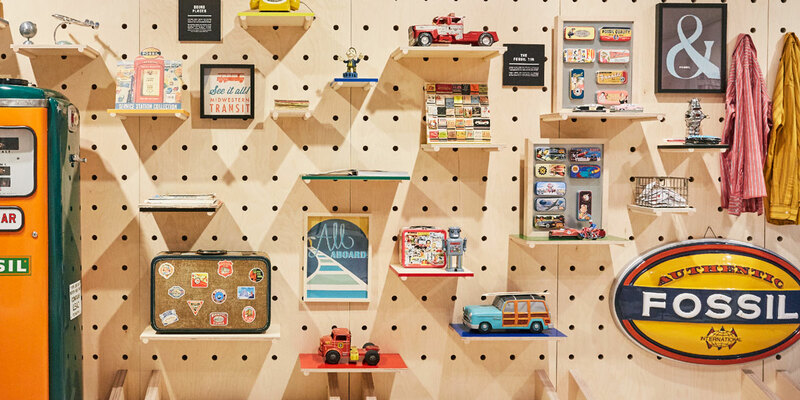 In addition to icons like the collectible tins and logos, the exhibit was filled with vintage items that inspired the brand’s past as well as its technology-focused future. 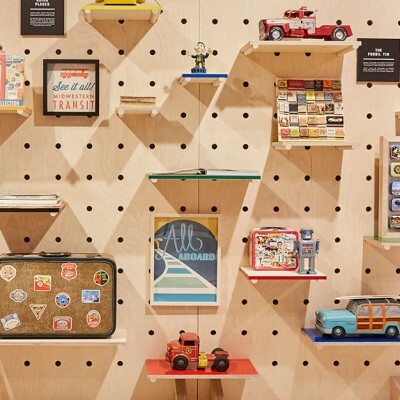 This exhibit will travel to cities in Europe, Asia and the U.S., and parts of the exhibit will take permanent residence at the brand’s headquarters in Texas in the future. 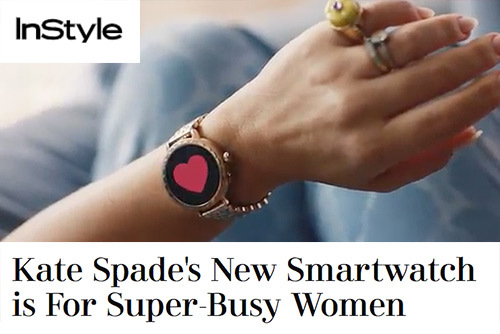 Fossil Group is buzzing at Baselworld today with the campaign launch for kate spade new york’s Scallop Smartwatch 2. 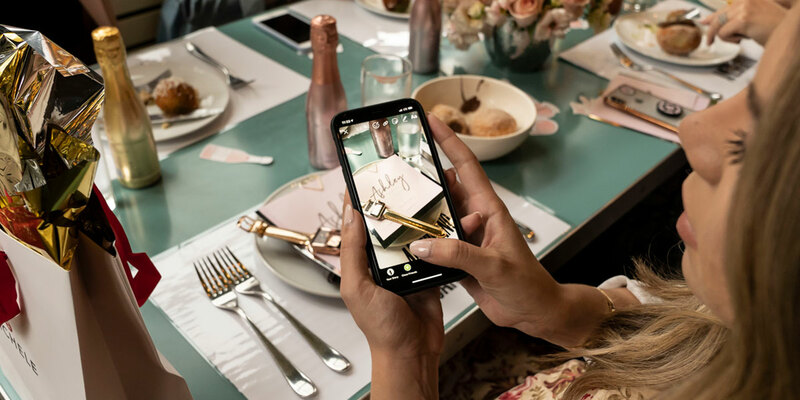 Interpreting everyday luxury for the modern woman, the global life and style brand has stepped into acclaimed actress Busy Philipps’ day-to-day life to showcase the innovative functions of the brand’s latest smartwatch. 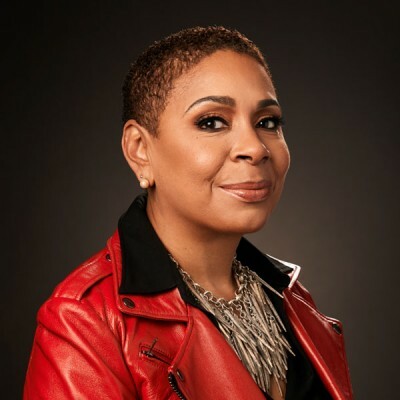 When she’s not hunting down frozen yogurt or getting into a tickle session with her two daughters, Busy is also dominating the entertainment scene as a writer, producer, TV host and director whose authenticity and realness make her engaging on and off screen. According to the brand, the pairing of a multifaceted woman with a modern, multi-functional smartwatch is no coincidence. 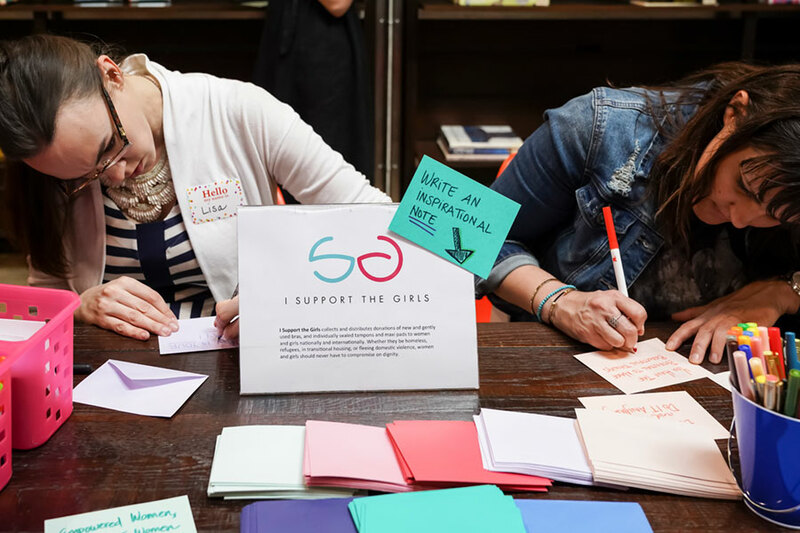 “They juggle a lot of responsibilities and should be able to stay connected to what matters most in a way that’s stylish and authentic to them,” said Nicola Glass, Creative Director of kate spade new york. 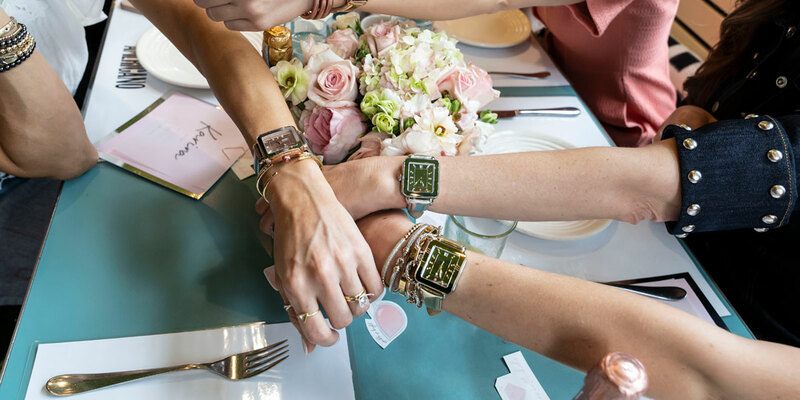 The new smartwatch combines feminine design details, like the signature spade and scallop detailing, with the latest technology and customization features to suit the modern woman’s everyday needs. Customers can track their heart rate and customize the dial to complement their attire using the Choose Your Look micro app. 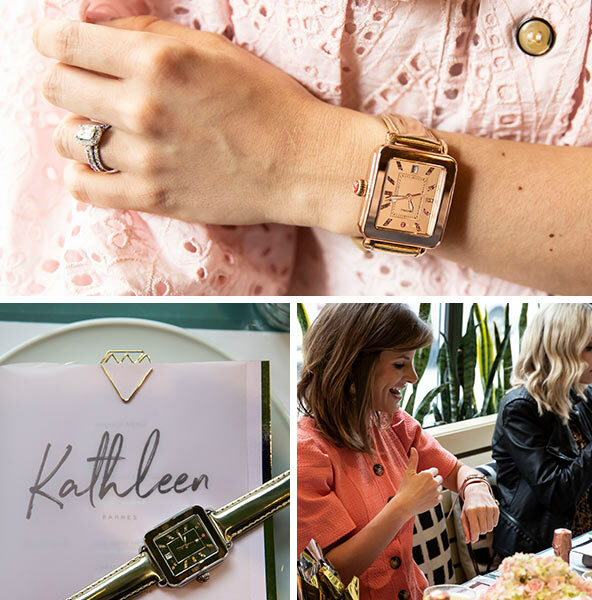 The new kate spade Scallop Smartwatch 2 is currently available in select stores and at katespade.com. Read more about Busy and this exciting campaign announcement here. We are inspired by women who blaze trails, shatter glass ceilings and break stereotypes with their bravery, strength and curiosity. 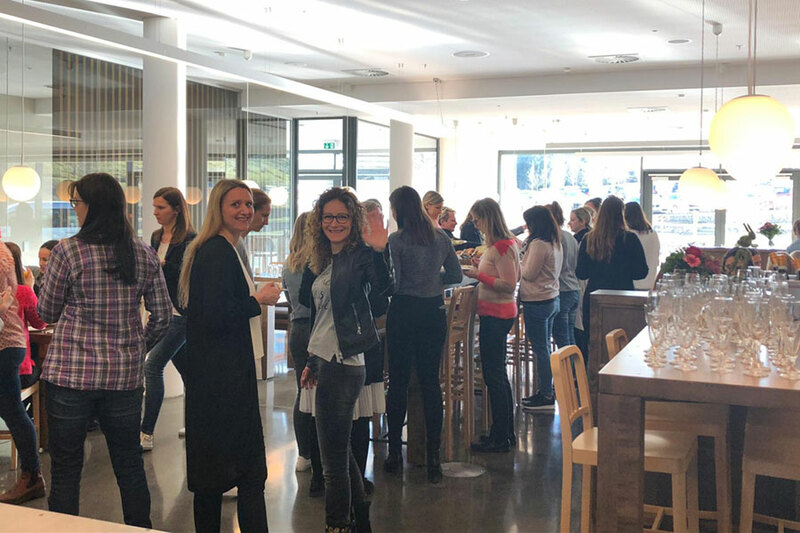 In celebration of International Women’s Day on March 8, Fossil Group amplified the power and impact of women by hosting employee events around the globe from the Americas to Asia and Europe. 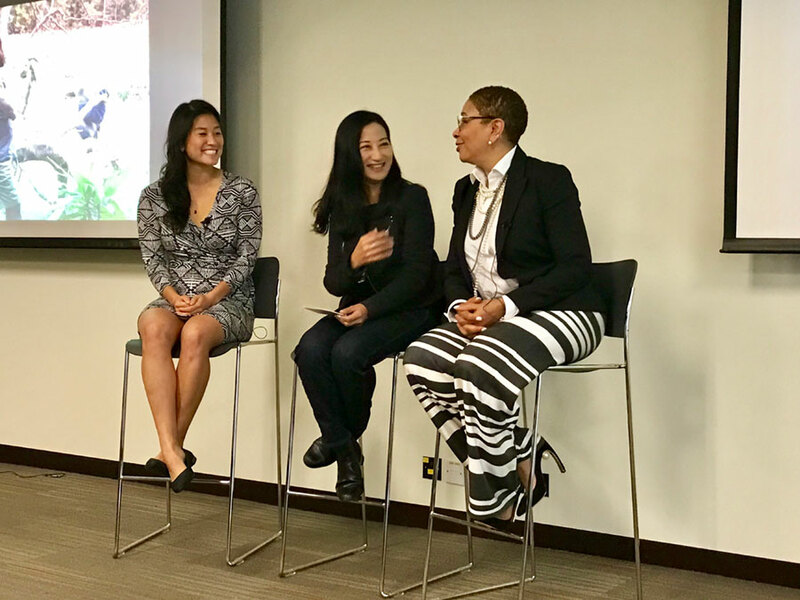 Learn more about the keynote speakers who shared their stories of perseverance and the challenges women face in modern society at our offices in Richardson, Basel and Hong Kong. 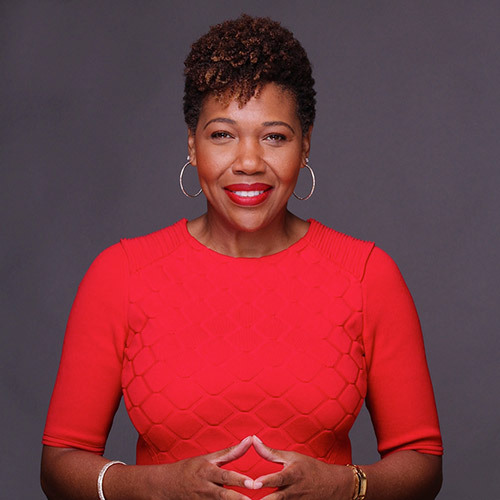 Katrina is a distinguished author and the founder and CEO of Loving On Me—a global movement igniting women to become leaders in every aspect of life. Katherine is a co-founder of the youth empowerment organization Global Changemakers. 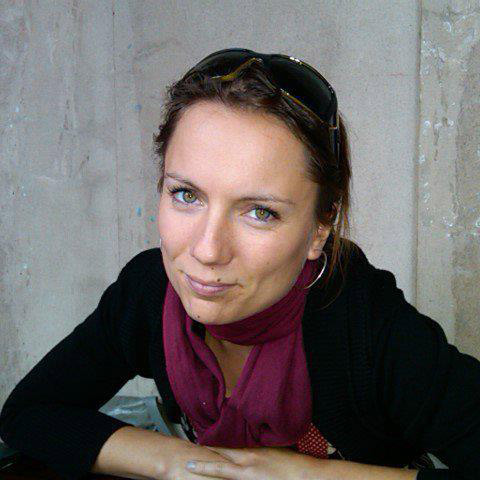 She recently completed her dissertation on youth-led development at the University of Cambridge. 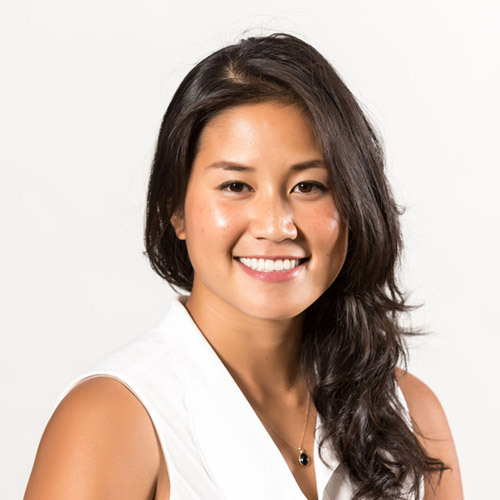 A freelance writer, photographer, filmmaker and National Geographic Explorer from Hong Kong, Laurel is the founder of the Hong Kong Explorers Initiative. 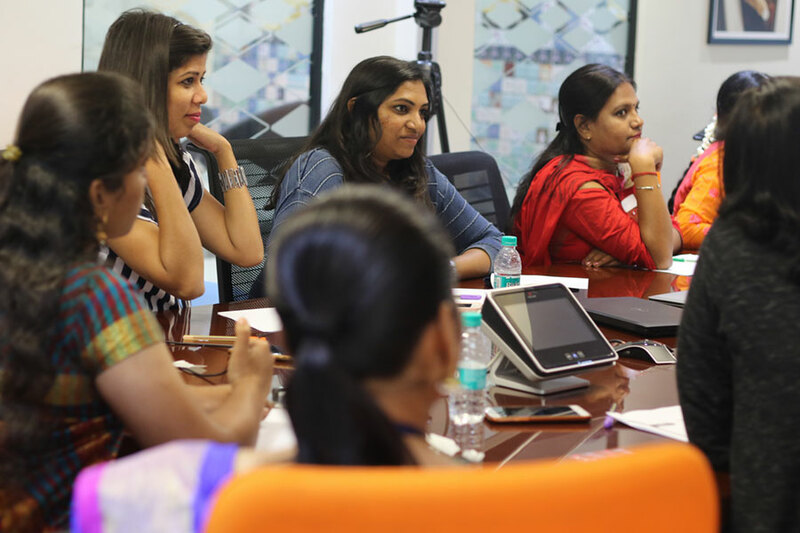 Fossil Group is committed to becoming a leader in women’s empowerment by 2020, and creating opportunities for women and girls within and beyond our four walls. 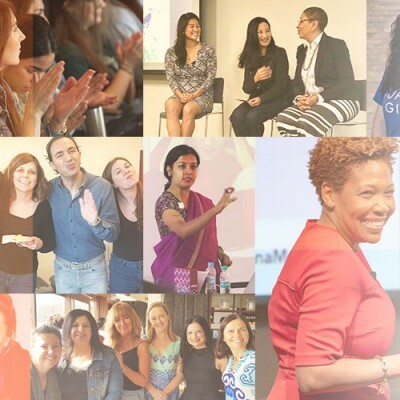 As we continue celebrating Women’s History Month, Fossil Group Americas will host a special event called “2020: When Women Lead,” a panel discussion whereby we will chat with our female board members, Gail Tifford (Chief Brand Officer of WW), Mauria Finley (Founder & CEO of Allume) and Diane Neal (Former CEO of Sur La Table, Inc.) about their careers and what has propelled them all to lead with purpose. Stay tuned to FossilGroup.com for more information and follow our social media channels at: Facebook, Instagram, Twitter and LinkedIn. To discover more about Fossil Group’s Opportunity For Her commitment, click here. 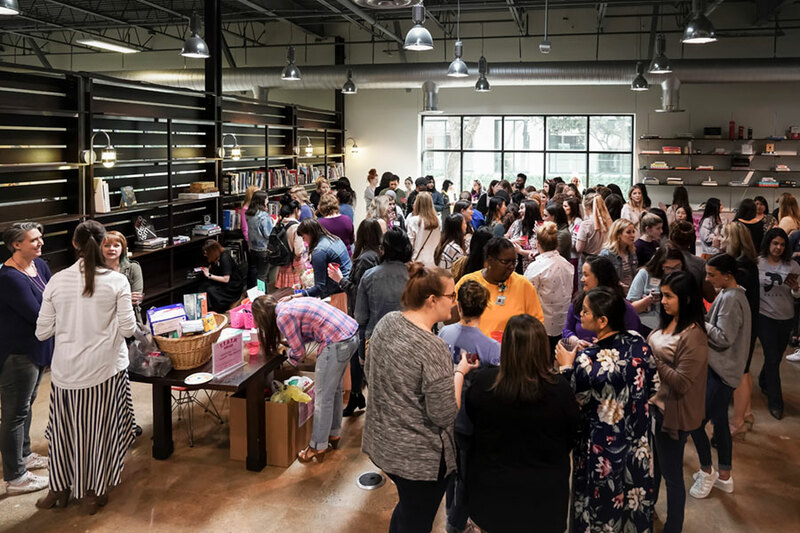 For over five years, the Fossil Foundation has been on a mission to close the global opportunity gap by unleashing the power of underserved youth. 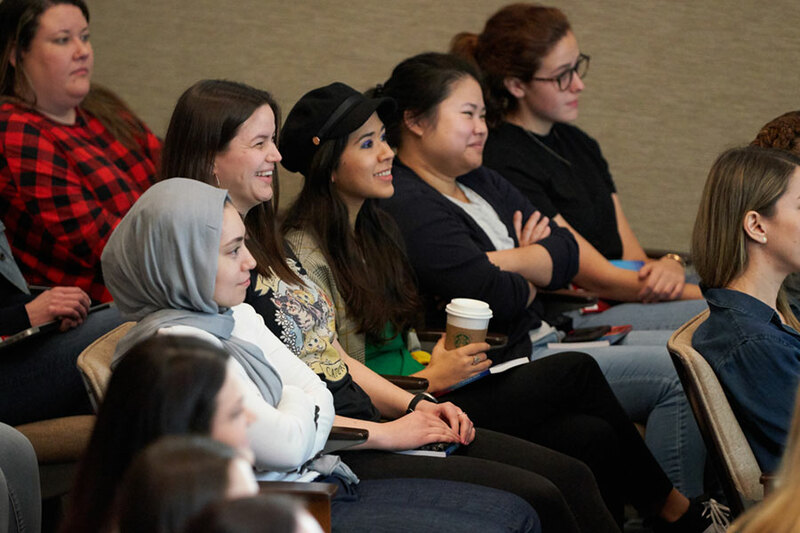 During this time, we’ve built strong partnerships with some of the most innovative social impact organizations in the world—all addressing the challenges young people are facing today and helping them prepare for tomorrow. 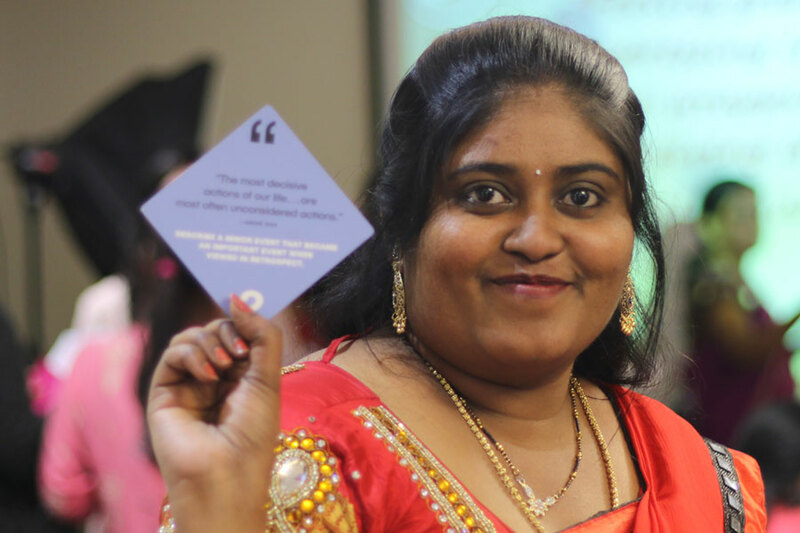 So far, the Fossil Foundation has improved the lives of more than 750,000 young people. But this isn’t enough. We’re living through the biggest economic and technological shifts in human history, and underserved youth are at risk of being left further behind. To respond to today’s unique challenges, we must evolve the way we invest in and tackle this pressing global issue. 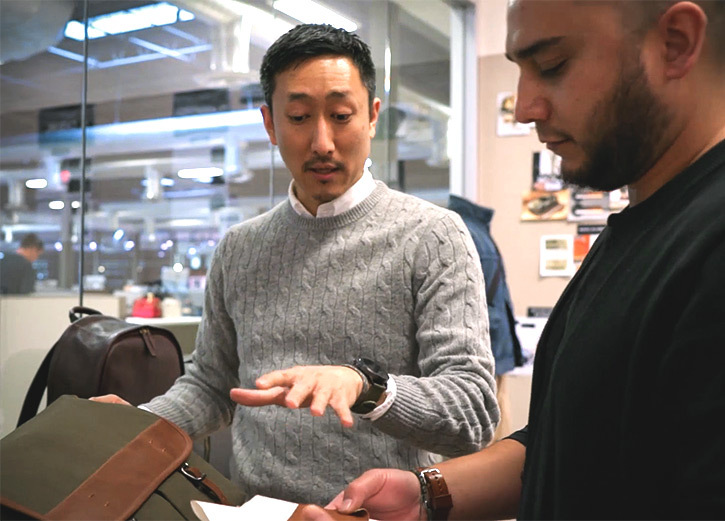 Dennis Horng, the Creative Director of Fossil Men’s Leathers, is not only known around the office for his creative product designs (and love of the denim shirt), but also as a mentor who makes time for good by supporting the people around him. 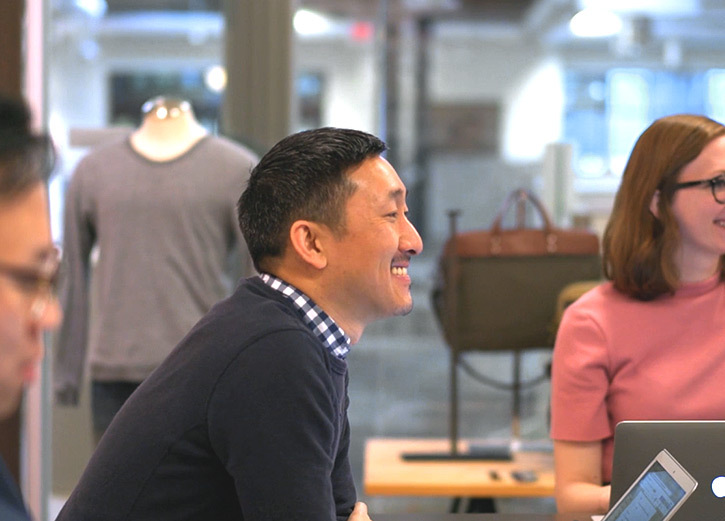 Tell us a little bit about your Fossil Group professional journey. 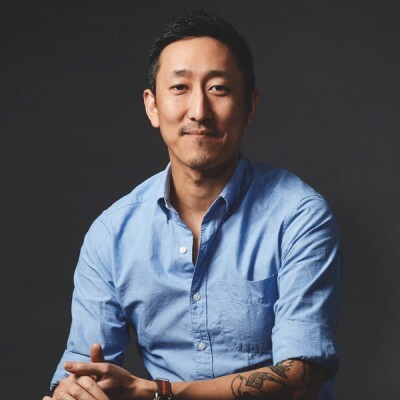 A lot of people don’t know this, but I started my career at Fossil as a lead for the men’s clothing design team, then developed the creative for the launch of Watch Station. After a few years, my career took me in a different direction. But when I had the chance to return, I didn’t hesitate! I eventually came back as the Creative Director of Fossil Men’s Leathers. 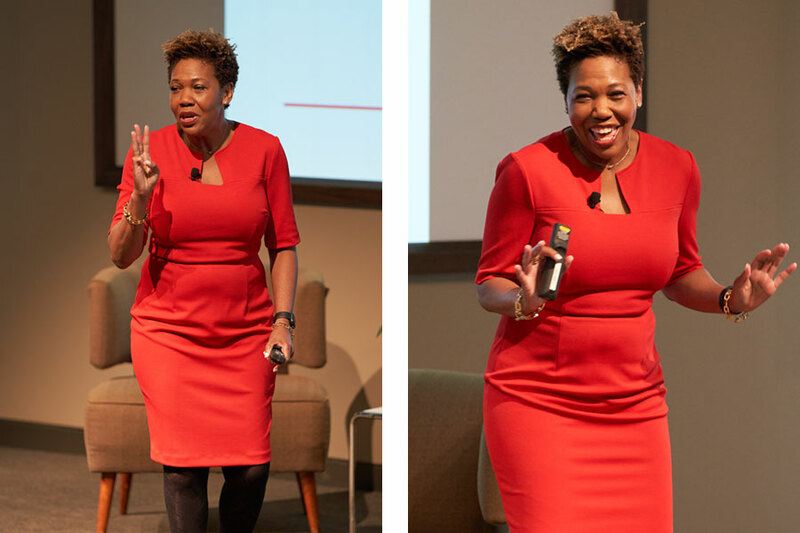 Part of why I love working here is because I can be authentic to myself—you don’t have to have one specific leadership style to be successful. Fossil values individuality and how people can contribute in different ways. That makes us, as a company, that much stronger. What are some of the ways in which you develop your team’s potential? 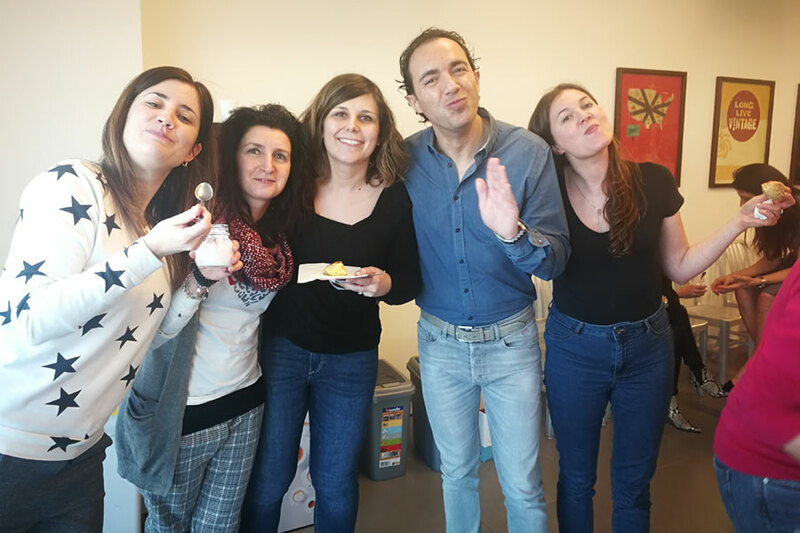 I work to bring out the best in my team members in a number of ways. 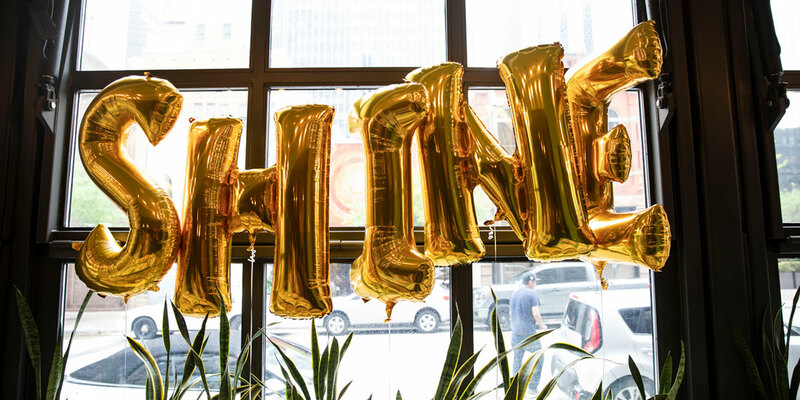 I encourage them to get involved in the design community by hosting quarterly team outings. 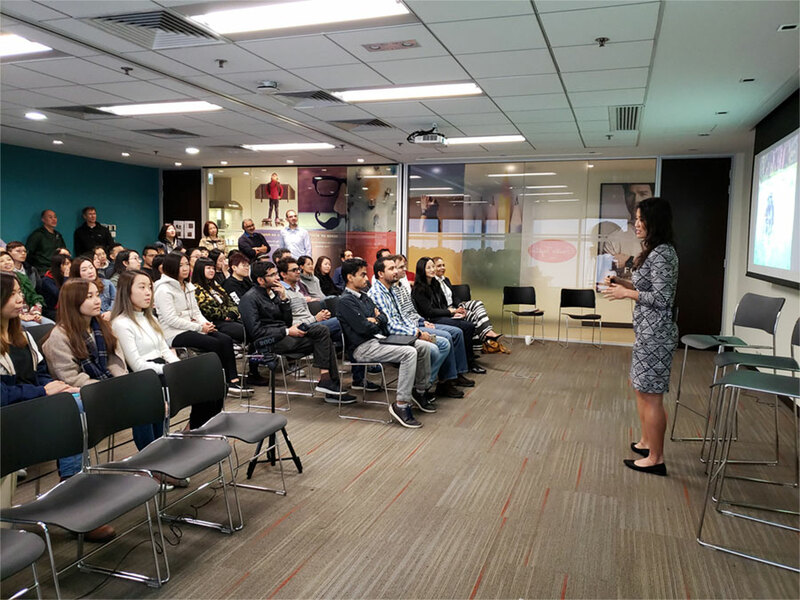 I believe that exposure to leadership opportunities allows for greater growth development, so I invite team members to participate in presentations and special projects as often as possible. I essentially provide a platform whenever I can that will allow them to freely express their thoughts, voice and creativity. What advice do you have for those wanting to become a mentor to others? Recognize that a mentee provides you another lens with which to see the world. Being a mentor is an incredible experience, both to help someone grow, and to learn and develop yourself. I didn’t have a mentor earlier in my career, and realize now how important it is. This is why I’m very passionate about helping others who are at different stages of their journey. What do you think makes Fossil Group unique? The people and culture. It’s very welcoming and supportive. I’ve worked at some well-known retail companies throughout my career and Fossil has remained the stand out. It became the benchmark as to what I would expect from a company. I believe you are truly appreciated as an individual and for what you bring to the table because of your different experiences and voice. The appreciation of that diversity is amazing. 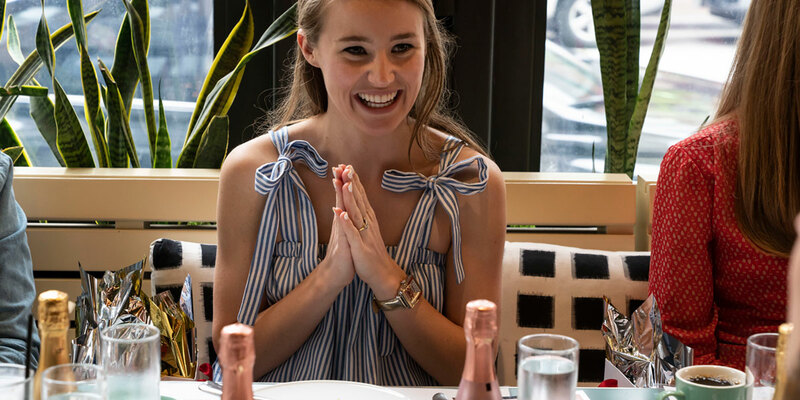 What’s the best advice you’ve been given at Fossil? When it comes to understanding current design and style, the best advice I’ve received is listen to every person in the room. For my professional career, I’ve been more influenced by the actions of others than by their words. During moments of disruption, uneasiness or struggle, I’ve always had someone to provide me a calm space and perspective. I want to be that person for my team. 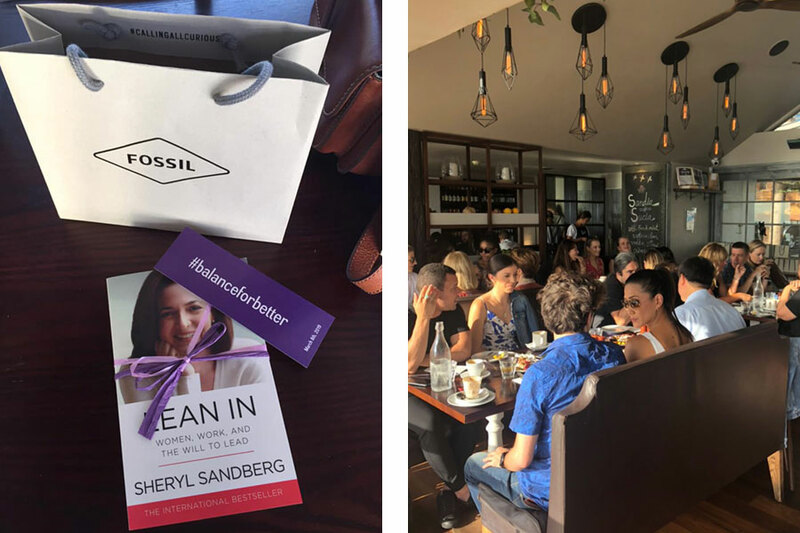 How does Fossil Group support you in making time for good? It’s honestly just ingrained in the culture. 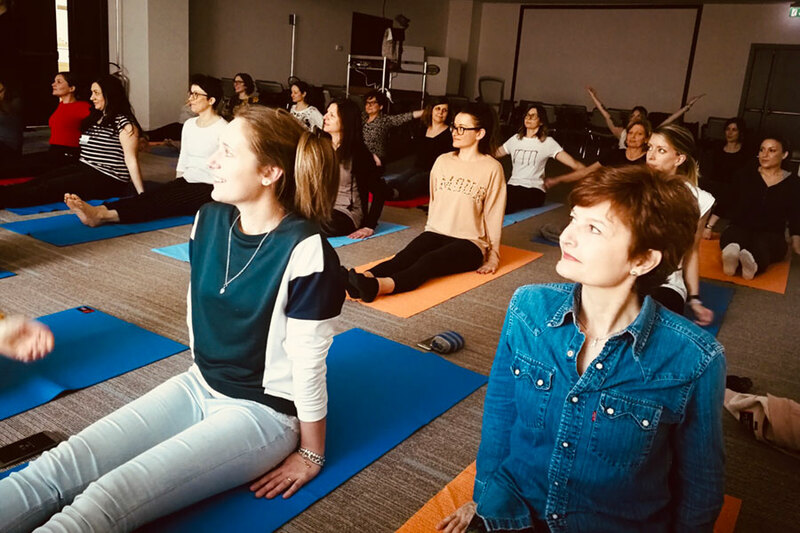 In addition to Fossil Group’s global sustainability efforts the company offers volunteer events both in and outside of the office, which allows us to create change in our community. 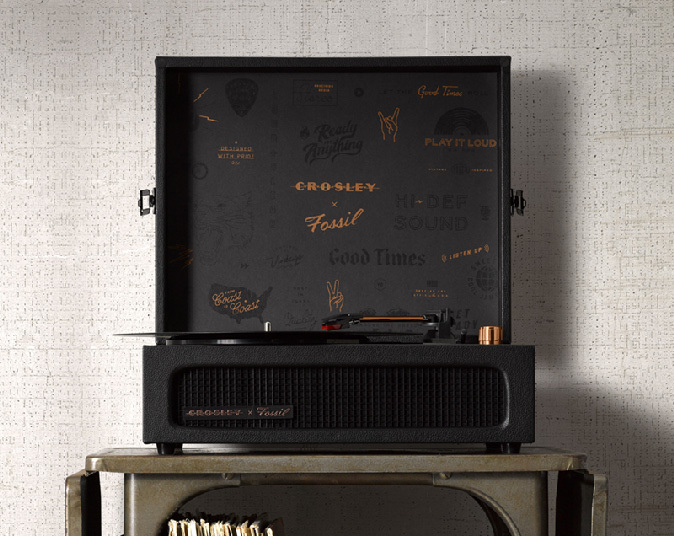 The fact that Fossil gives us the time to do that is really special.